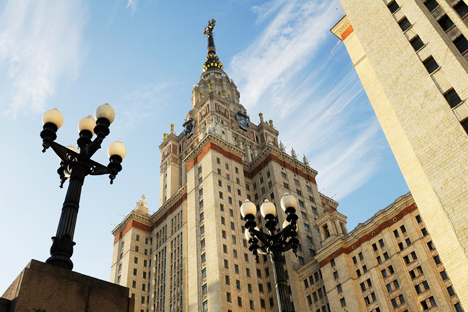 Russian universities have made a strong showing in Britain’s 2015 Times Higher Education ranking, with Moscow State University featuring in the top five educational institutions in the influential listing’s BRICS & Emerging Economies Ranking. Yaroslav Kuzminov, rector of Moscow’s Higher School of Economics (one of Russia’s top universities, but one which did not make it onto the list) told RIR that government efforts are responsible for the success of higher education in Russia. According to him, the state has been systematically investing in ways to boost university competitiveness since 2006. Asked by RIR why the magazine has started ranking universities in emerging countries separately from the rest of the world, Times Higher Education Editor Phil Baty said that the main purpose is to help find new education leaders in countries that remain in the shadows of North America and Western Europe, which dominate the magazine’s main rankings. Besides the 14 universities in Russia’s ambitious 5-100 program, some 30-40 Russian institutions of higher education have dramatically improved the quality of their education in recent years, Yaroslav Kuzminov told RIR.